This guy's locks are heat sensitive and will change from brown to yellow if the water is too hot to bathe in. I would think this would be great for kids, but I can't find anywhere what temperature it changes at. What's cool enough for me is most definitely not cool enough for a child, so I'm left wondering. 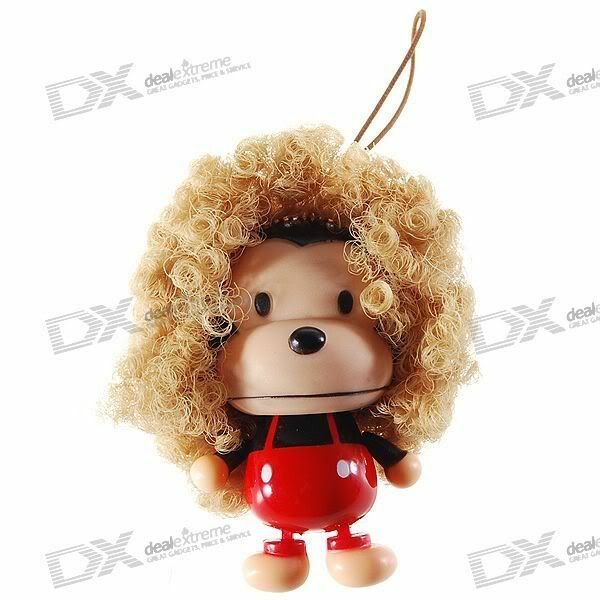 This monkey rockin' the golden locks is only $2.63 at DealExtreme...and that's with free shipping! If you check the site, you can click on the pictures and it'll show you the difference between the yellow and brown hair colors.